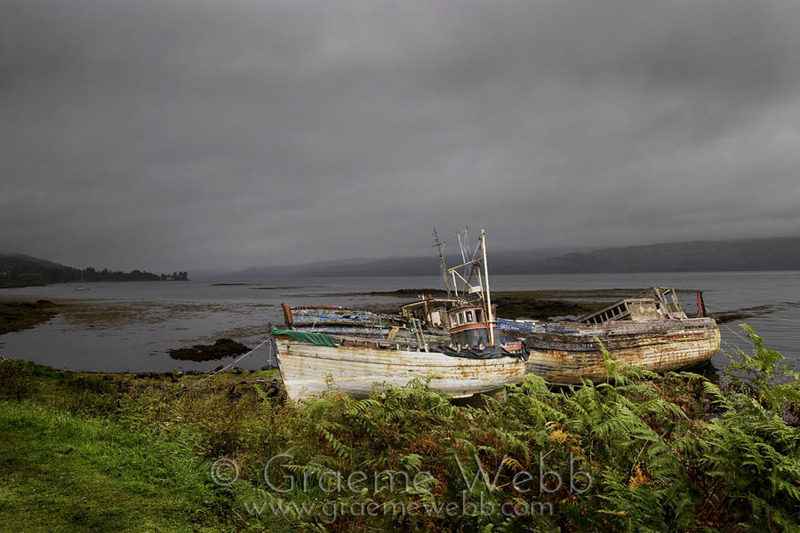 More of the Isle of Mulls abandoned boats, this time just outside the lovely village of Salen. This image was taken in late 2007, and on my visit there, late 2010, it is sad but inevitable to see that they have deteriorated at great speed. The wheelhouse of the rear boat has fallen through the deck, and they all now lean over dramatically.